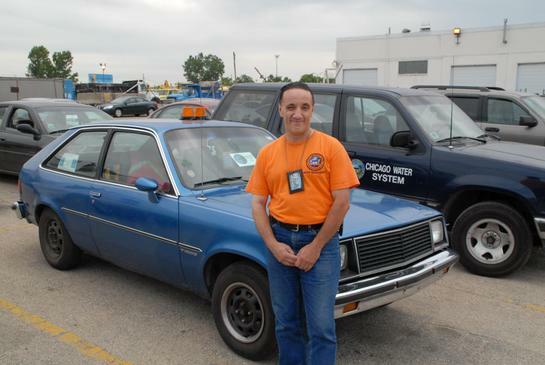 Steve Broumas is another Chicago City Worker filing serious charges against the Chicago Department of Water Management. Steve is a typical chicago city worker that does an outstanding job for the Chicago Taxpayer. Steve feels the State of Illinois Department of Human Rights needs to step into Mayor Daley’s troubled department and get to the bottom of this Chicago City Worker. Kent McNeil, an Investigator for the State of Illinois also took statement from me, Patrick McDonough. I was proud to report all I knew about the Chicago North District Water Department. I hope all of Chicago’s top reporters can make Steve’s hearing at the Thompson Building June 28, 2007, 10th floor, room 1000, 1:00 p.m. Steve speaks many languages and has an outstanding pride and work ethic. When Steve and I worked together, it was elbows to a**holes, side by side, I met a man that used his own money to help the job go better, he also purchased tools for a more professional result. He is an Alderman Stone loyalist. Steve has some interesting things you might want to hear. Photo by Patrick McDonough. John Spatz Commissioner of the Chicago Department of Water Management issued a Memorandum in every one’s paycheck today as the City’s Sexual Harassment Policy is violated all the time. We were told to contact Maureen Egan at 312-747-8037. Maureen Egan never returns calls. She is an insult to every Chicago Water Department Employee. Where are all the employee complaints Maureen? Where are the Unions? Where are the appeals? You can also call 312-747-8988 to reach the Sexual Harassment Office in Chicago. Stop Sexual Harassment Now Mayor Daley.